thank you Mr. Nash for putting in writing, what i have been saying and warning people for years! i applaud your efforts for doing the same! i stopped buying from heritage auctions many years ago, when i discovered some of the items i purchased from them, and others i was considering were questionable. later, i learned, not only were they questionable, they were bogus! heritage auctions is knowingly selling bogus items they resell for expert forgers and some not that good, but as long as they can get some blind fool to authenticate them, they are o.k. scamming their clients! i learned my lessons the hard way, i lost many thousands of dollars giving Herman Darvick a whole lot of money for worthless yankee autographed items he sold me, that he probably created himself, he authenticated them with his ‘money back lifetime guarantee’… when i learned the items were fake, i asked for my money back for one of the items, he refused! later he refused all requests for a refund, he is still selling junk with his bogus guarantee, after my experience with him i went to heritage auctions, they continue selling fake items to this day, sometimes buying them directly from the forger so they can sell the bogus items themselves and keep all the money. heritage buys these fake items directly from the source, if the fbi raids heritage auctions they can arrest all the criminals and forgers in one raid. making ‘operation bullpen’ look like childsplay! 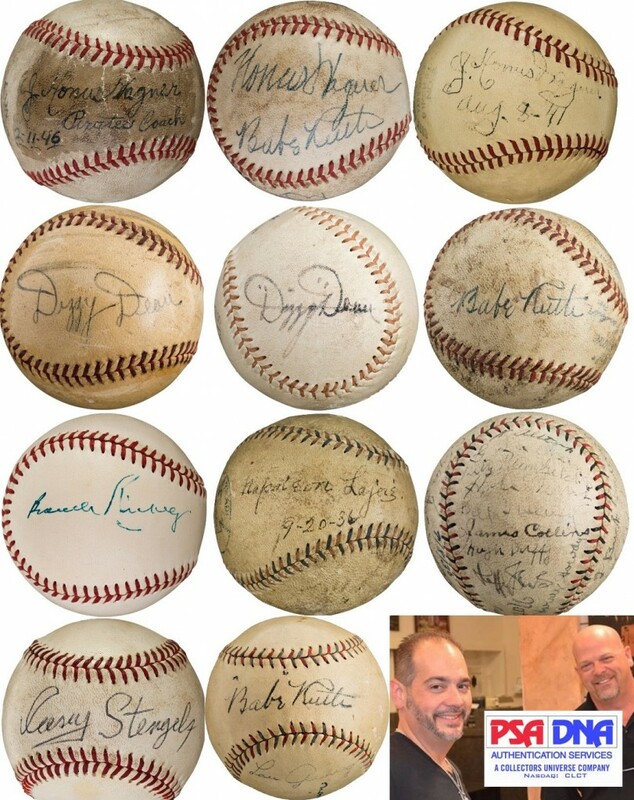 I have said it before, and I will say it again on this site: when Peter posts pictures of autographs that have been supposedly “authenticated” side-by-side, the results are stunning: for example, look at the 3 Wagner signatures on the top row. They look nothing like each other. Same with the two Dean signatures. Not even close. How could you possibly say these are authentic? 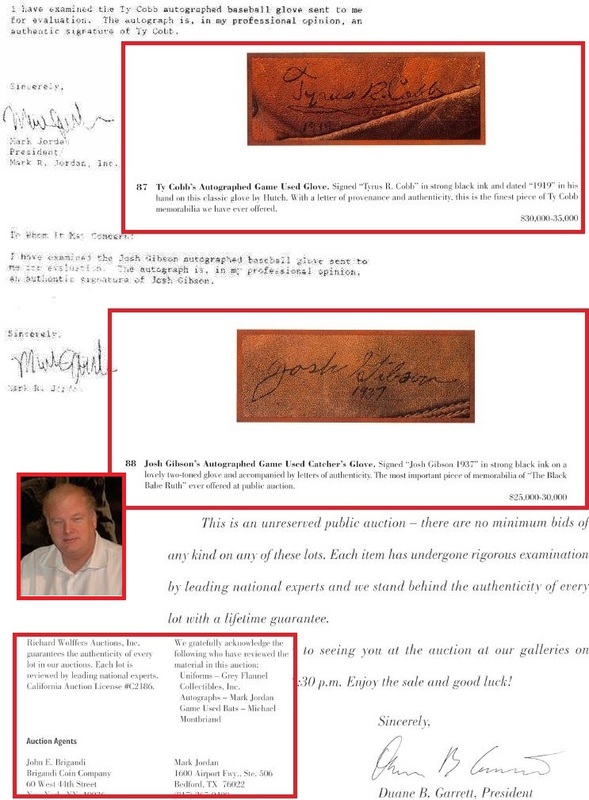 Don’t these firms use their own work as exemplars to authenticate signatures? I think this is a great website and the comments by people are thoughtful and true. However, I always ask what are the alternatives to PSA and JSA? I went to sports memorabilia show in Chantilly, Virginia on October 10 of this year. I randomly selected 20 dealers. I asked them if they would buy an autographed item that was not authenticated by either PSA and JSA? Fifteen dealers said no. 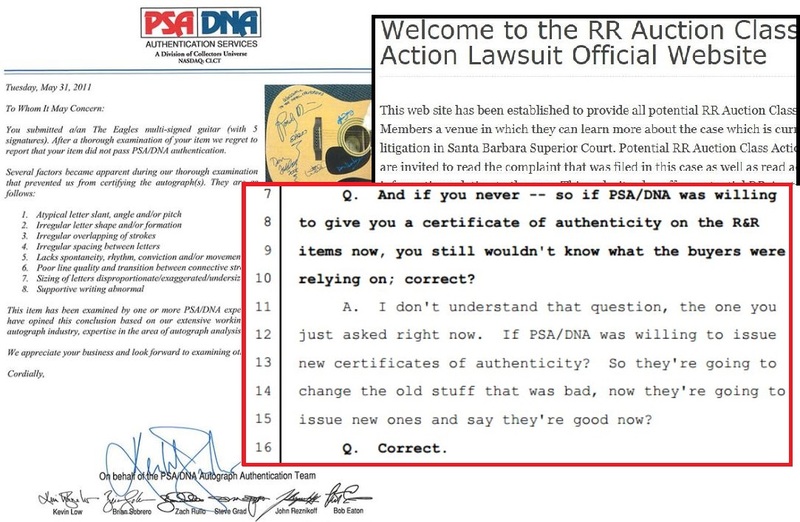 Five said it would depend on their assessment of the autograph or who the non JSA/PSA authenticator was. To all the people who comment on this great website, who would you accept as an authenticator for your memorabilia excluding JSA and PSA? I think you are finding that these people you polled state that they need PSA or JSA because without the LOAs from those companies they cannot get their material into the major auctions or eBay. They need them because its required by the auctions, not because there is great confidence in the opinions rendered. We already have regulation for falsification & forgery… It’s a criminal offense and you have recourse of our courts system. Government intervention in private commerce is not the solution. You are simply being lazy & want guarantees. In life, we really have no guarantees…especially in such a speculative enterprise as ‘collecting’. Caveat emptor..
psa and jsa are only wanted for their liquidity in the marketplace as of now. you found 5 out of 20 that would consider a non psa or jsa piece. thats enough. when we stop rewarding the mediocrity and funnel autograph to the people who use common sense then things will change. psa and jsa certed muhammad ali autographed 8 x 10’s go for about 400-450 dollars. i sold one for 425 without psa or jsa cert. how did i do it. i used common sense and so did the buyer. he didnt need jsa or psa and i didnt need to spend 100 dollars on a cert. i got the same price and made 100 dollars more than the guy who spent it to get a jsa or psa cert. 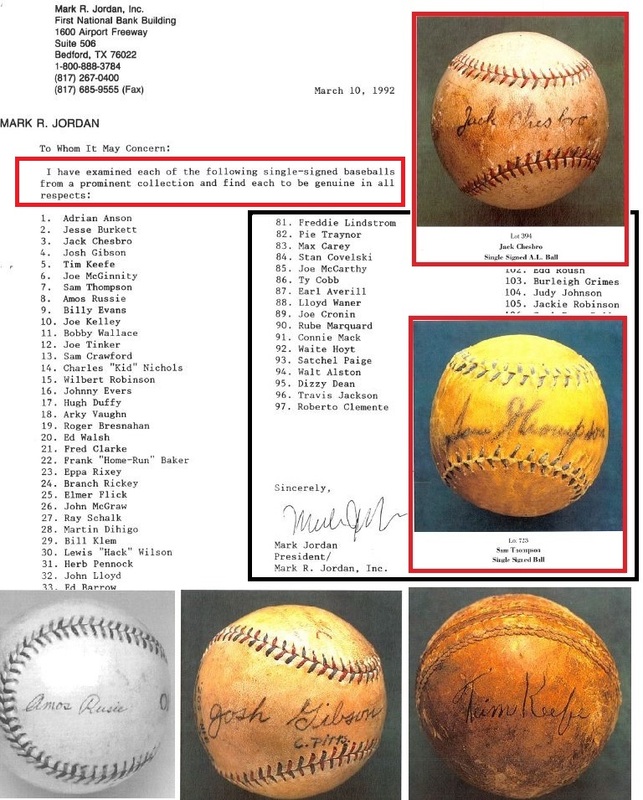 are psa and jsa experts at ali’s signature? in my opinion no, so why pay them. pay the guy who knows what he is doing if you absolutely need a cert. it’s ridiculous how we let 2 people control the whole autograph hobby when they have no more real credentials in the hobby than anyone else. Did you ask for a comment from the participants named above ? Or dont bother as you will get a “No comment” from them? People in this hobby would need to acquire the knowledge and experience to authenticate autographs. Or, failing that, only deal with dealers that know how to authenticate their own autographs. There are plenty of people out there who know what they are doing if you look around a bit, Ron Keurajian being a good example. And, people in this business will need to admit that “I don’t know” or “maybe” is the correct response occasionally when looking over an autograph. For example, there are probably 20X more Babe Ruth autographs for sale than there were 25 or 30 years ago in the hobby. The reality is the vast majority of them are forgeries, and there are so many forgeries out there now that it will start to become difficult to separate the real from the fake. So, when looking at a ball such as the Ruth on the second row above, “maybe” might be the best answer you can get on it. I suggest doing your homework before buying an autograph to prevent owning a forgery. You can add me to the list of Net 54 members who have been erroneously accused of being part of the HOS website, then banned by Leon Luckey. What kind of show is he running on Net54? Unless I sent proof of my identity, the proof to include driver’s license, credit card, social security number, a utility bill, etc., in other words, enough personal information to commit identity fraud, I couldn’t post there anymore, as if it might actually be worth giving him this info to post on his forum, lol. I declined, and Leon writes back, “See! I knew it!”. Who the hell asks for social security and credit card numbers and expects to get it? Let him go f— himself.